Ralph Zuranski: Hi! This is Ralph Zuranski, and I am on the phone with Cameron Johnson. Cameron is one of the heroes I met at Joe Polish’s carpet cleaning convention, where he taught carpet cleaners how to be incredibly successful. Cameron was Mr. X, the secret speaker that Joe Polish brought in to impress all the other individuals. How are you doing today, Cameron? Cameron Johnson: Doing great, Ralph. How are you? Ralph Zuranski: Good. Could you tell everybody a little about you because I am sure not many people know about you? Cameron Johnson: Sure. Well, I started my first business when I was nine years old. It was a printing company, printing stationery, greeting cards, and things like that for friends, family, and relatives, and the company grew from there. When I was twelve years old I sold Beanie Babies over the Internet, and my company grew to become the number two Beanie Baby retailer on the Internet. When I was twelve, I made $50,000 selling Beanie Babies. When I was 15 I transitioned to an Internet company. The company sold online advertising, and we grew to have close to 200,000 in 80 countries, and we are displaying about 15 million ads per day, which at the time was about $15,000 in daily revenue. Since then I have had several other companies and I am 22 years old now, and I have got a new book that is on the horizon, coming out in January. I have had 12 companies before I turned 21, and I just recently turned 22. Ralph Zuranski: Wow! What is the name of your book and what is it about? Cameron Johnson: Well, the name of the book is You Call the Shots: Succeed Your Way and Live the Life You Want, with the 19 Essential Secrets of Entrepreneurship. What it does is talk about all the different businesses I have started, and sold and run successfully over the past twelve years, and bottles it all up in a package that is unique, because not only is my age unique. But it gives you insight into some of the different businesses I was able to start, being so young, and how I was able to do that, while also managing or attempting to manage a normal high school life, and to grow my businesses that way. Ralph Zuranski: Wow, that is pretty amazing. Let me ask you some of the heroes’ questions. I think it will be an interesting perspective, because I haven’t really interviewed anyone as young as you who has been so successful. Ralph Zuranski: What do you want out of life in ten words or less? Cameron Johnson: Well, I think there are a number of different ways I could answer this, but most importantly, what I want out of life is that I want to leave the world a better place, and I want to motivate young people to do the best that they can do. Ralph Zuranski: What is the dream or vision that sets the course of your life? Cameron Johnson: My dream is to remove all obstacles and become as successful as I can be, but along the way helping plenty of other people find their dreams and goals, no matter what that is; whether it is in the business world or any other facet of life. But that is kind of my dream and what I am focused on for my life. Ralph Zuranski: How important is it for you to stay focused on your primary goal? Cameron Johnson: I think setting goals is the first step in being successful, and in order to reach those goals you have to stay focused, and I think it is the most crucial aspect of succeeding in life; setting one goal in life and then reaching it and setting another goal. So I believe in short term goals in addition to long term goals. But the short term ones are the ones that help you get through, and I think it is so crucial for you to stay 100% focused all the time. Ralph Zuranski: Do you follow your hunches and intuition? Cameron Johnson: Yes. You can say I am guilty or one of the best people at following hunches and intuition. But when I believe in something, I totally act on it right away. Of course, I go through and do the necessary research and due diligence. But I very much act on my intuition. Ralph Zuranski: What specific philosophy or philosophies guide your life and your decisions? Cameron Johnson: Well, I was raised by my parents, who are both entrepreneurs. My dad owns a Ford dealership back home in Roanoke, Virginia, that my great-grandfather started back in 1938. And my mother inherited a very successful business as well, that she sold more than 20 years ago. But they both raised me on the principle that you have to work for things you want in life, and that nothing is going to be handed to you. That’s what motivated me to get started at an early age, and to choose a career path that is different from the traditional path of graduating from high school, going to college, going to work for a company and moving your way up ten or fifteen years down the road. So my philosophy has always been to create whatever it is I want, and I work for myself, and that is kind of what I have enjoyed so much, is the instant reward and gratification of working for yourself and motivating yourself to do great things. Ralph Zuranski: Well, what are your perspectives on goodness, ethics, and moral behavior? Cameron Johnson: Well, I think being in the business world, especially after the Xeroxes, Anderson Consulting, and WorldComs of the world, I think business ethics and business morals have never been more important than they are today. They are now teaching them in schools, whereas ten years ago they never even thought they would have to teach these classes, because they just assumed people knew these things. But after the exploits of those companies, it has become such a hot topic, and I think business ethics are just the ability to run a successful business and to go home each night and sleep peacefully. I have always said that, and I believe it is the cornerstone and foundation for which successful businesses were built, were business ethics and strong morals. Ralph Zuranski: Well, what place does the power of prayer have in your life? Cameron Johnson: Well, I am religious and I think prayer is so important, because there has to be a higher power that we all look up to. It helps guide us in the tough times and it is very important to me. Ralph Zuranski: Well, what principles are you willing to sacrifice your life for? Cameron Johnson: The principles that are of the most interest to me are helping others. Right now with this new book I have coming out I want to help young people and parents and the education system and everything, and also America, just improve and become better. Financial literacy is something that is very, very much of interest to me, and one of the founding principles of my book is teaching financial literacy in the school systems, because they don’t do that. They don’t teach it in high school; they don’t teach financial literacy in college unless you’re really in a business school or business classes. I think that is so important, because debt is at an all-time high across America and the average college student graduates with more than $20,000 in just student loans, not to mention their credit card debt as well. So I think those are some hot topics that need to be discussed more and need to be shared, and that is one of the reasons I wrote this book. Ralph Zuranski: Well, are your actions and goals consistent with your beliefs? Cameron Johnson: Yes; I like to think so, at least. I try to act on them. I set my goals based on where I want to be and where I believe I should be. I try to act accordingly to get there. So I totally believe that those two things are in line. Ralph Zuranski: Is it valuable to have highly charged emotions about achieving your goals? Cameron Johnson: I think it’s crucial. I get so excited and so fired up when I am achieving my goals, and I think having so much energy and everything else just helps you move along and helps you push forward in the hard times or in the slow times. I think being able to motivate yourself is one of the greatest abilities, and one of the most crucial abilities for an entrepreneur to have. I definitely feel it is so valuable to have highly charged emotions. Ralph Zuranski: Is it useful to take a positive view of setbacks in misfortunes and mistakes? Cameron Johnson: Definitely. I have always tried to learn from my mistakes or learn as I go along, and each of my businesses has built on the previous business. So each business is a little bit bigger than the previous business and that is just because I have learned as I have gone along. If you make a mistake, that is okay. But to make the same mistake twice, there is really no excuse for it. So I have always tried to learn from my mistakes and to always move forward. A setback is just something that slows you down; it is not something that is supposed to turn you away or tells you to quit trying or quit following your dreams. So, definitely. Ralph Zuranski: Do you feel that optimism is valuable? Cameron Johnson: Of course. I think optimism is so valuable because you have to have a positive outlook, and you have to be able to be optimistic about what it is you want to accomplish. If you can’t be optimistic and be positive, then it is very difficult for you to wake up each morning and get out of bed and go do whatever it is you are doing. You have to be able to be positive and be proud of what it is you are contributing. Ralph Zuranski: Do you maintain a sense of humor in the face of serious problems? Cameron Johnson: Yes. I think humor can often fix serious problems. I think some serious problems aren’t really that serious, and I think humor sometimes brings them down to a ground level. I definitely use humor in the business world, and when I give speeches and talks and do consulting. I totally believe in humor and in lightening people’s lives. Ralph Zuranski: Do you take time out of your day to feed your subconscious positive thoughts about you, your goals, and your dreams? Cameron Johnson: I try to. I try to take time every day to forecast and look at my progress and just have some positive thoughts. I like to just have some down time every day and it’s just not possible. But I would like for it to be, and I try to make it so that every day I have time to do those things. But sometimes with traveling and business and everything else, and personal life, and trying to be in three places at once, it can be difficult. But the down time is probably the most enjoyable and relaxing, because I am able to reflect on whatever it is I am working on, and to, hopefully, also help me push forward with new projects. Ralph Zuranski: Well, do you have courage to pursue new ideas? Cameron Johnson: Yes. One of the things I have always been able to do ever since I was basically nine years old was to have the courage, whether it was to start a new business or whether to buy a lot of inventory when I started the Beanie Baby business. It started because I took my sister’s Beanie Baby collection, and she was six years younger than me, so she was about six years old at the time, and I sold it on eBay when eBay had just started, and I sold it for $1,000. I gave her $100, so I was happy to have made $900, and she was happy to make $100. What it taught me was that I needed more Beanie Babies. So I went out and became a retailer for Beanie Baby manufacturers, and I basically took my life savings at the time, which was several thousand dollars, and I purchased several thousand Beanie Babies. But I had to have the courage to do that, and the courage it takes to take calculated risks is a lot better than just taking irresponsible risks, but I think they pay off in the long run. Being able to have the courage to do that has always rewarded me very well. Ralph Zuranski: Were you willing to experience discomfort in the pursuit of your dream? Cameron Johnson: Sure. I think no one appreciates or no one likes discomfort, but it is necessary, and it happens to all of us. There is nothing we can do about it but to accept it and to deal with it and continue pursuing our dreams, whatever they may be. We have to understand that it is not, we are not going to be floating on cloud nine all the time, or floating in the clouds. I think we have to be able to experience discomfort and move on, and deal with whatever the problem or issue it is. Then go from there. Ralph Zuranski: Is it beneficial to make decisions quickly? Cameron Johnson: I think that can depend on the situation and also the decision that you are making, depending on how big the decision is and what kind of results the decision might have, negative or positive. You know, I definitely try to think through every decision. Before I make a decision I like to think about the consequences, so I think it can be beneficial to make decisions quickly but I’d also say that I like to think through everything very thoroughly first, as well. I think that is very important. Ralph Zuranski: Are you slow to revise or reverse on important decisions? Cameron Johnson: Typically, when I make a decision, I don’t look back and I move on, no matter what that decision is. I went to a boarding school in high school and I left the sophomore year. So I said okay, so I went back to school. A week later I called back and said, “Dad, I will reimburse you the tuition. I don’t want to stay here.” And he said, “Okay, if you want to write me a check for $25,000, then you can come home.” This was when I was in 10th grade, and I said, okay, that was fine. I paid my dad $25,000, which was a big decision at the time. But I never looked back; I never regretted it, and I never, of course, tried to reverse it. I have made several decisions since then that, once I make them, I just move on and accept it, and hopefully you don’t have to reverse or revise a decision. So I think that it is important, especially on decisions we can never change, that there is no use fretting over them or second guessing, or anything of the sort. We have to move on. So I would say I normally don’t revise or reverse decisions like that. Cameron Johnson: Often times we buy in with emotion, then we try to rationalize later from facts and reasoning. Ralph Zuranski: But I am sure you have had some doubts and fears with some of the decisions you have made in the different businesses you were in. So how were you able to overcome your doubts and fears? Cameron Johnson: Well, I try to use the same principle that I just shared; I don’t really think about it and try to second guess it. When I was in college at Virginia Tech, I started an Internet company called CertificateSwap.com, and I took my second semester off of college to go out and raise ten million dollars in venture capital. We were subsequently offered ten million in capital, but I actually turned the offer down, and we ended up selling the company instead. Now that offer, had we accepted it, we might have grown into a hundred million dollar company, and it could have been one of the biggest or stupidest decisions I’ve ever made. But I still don’t question the decision and I have moved on with it. I still to this day think we made the right decision to sell the company. So I am able to overcome doubts and fears just by accepting and, like we were talking about earlier, trusting my intuition. Ralph Zuranski: Well, that is rare for most people to do that. A lot of people are afraid to trust their intuition. Ralph Zuranski: Would you readily forgive those who upset, offend, and oppose you? Cameron Johnson: Yes. I try to be very good about forgiving people. I always like to think that I might remember things and look at a person differently, but I forgive them for whatever actions or words or anything else that they say or do to me. I think it is important that we forgive, because we are all going to have bad days, we’re all going to make mistakes. So I think we have to be able to be quick to forgive. But not necessarily quick to forget, you know? Ralph Zuranski: Yeah, yeah. Do you experience service to others as a source of joy? Cameron Johnson: Yes. I have always enjoyed giving back. I am involved with several non-profit organizations now, and I serve on the board, and I try to give back and donate my time to high schools and other local events that I can try to help at. I really do get a joy out of it, and one would say since I live such a successful or very busy business life, how could I actually get such a joy donating my time and doing stuff like that. But one of the most rewarding things I do is that I am fortunate that I am successful in business so I can have the time and have the money to be able to give back, and I really appreciate that. My parents introduced me to that when I was just ten or eleven years old, and I started giving money to our local church. I really got satisfaction out of it. Ralph Zuranski: Well, when was the lowest point in your life, and how did you change your life path to win victory over the obstacles that you were facing at that time? Cameron Johnson: This question is kind of unique, because I am only 22 years old, and have lived only a very small portion of my life. I have yet to experience some of the many things many people would cite as the low point in their lives, whether it is family issues, wife, kids; whatever the case. Health. I have been very fortunate that my family is very healthy and I have been very healthy, and my siblings and parents, and I pray that that continues. But I really don’t know I could say what the lowest point is. I am very fortunate. I am glad I could answer that question that way, though. Ralph Zuranski: That is really a blessing to be able to say that. There was one other hero I interviewed, Jeff Dedrick, who has sort of a charmed life, and it had a lot to do with his parents and how he was raised. So I think parents really are a huge factor in what type of life their kids have. Cameron Johnson: I agree, a hundred percent. Ralph Zuranski: How important was it to believe that your financial dreams would eventually become reality? Cameron Johnson: I think, in order to set a goal, or set a dream, you have to actually understand that this has to be a realistic goal. So I think it is almost crucial that we are able to believe that we can make our dreams come true, if we just take the necessary steps in achieving those goals, and accomplishing them. So I think it is crucial. It is hard to set a goal or have a financial dream for yourself if you are not going to believe that it has a chance of being real. So I think we need to set realistic goals, and then I’d say that is 100% valuable. Ralph Zuranski: Why is it valuable to know exactly how much money you want to have in your bank account, and when? Cameron Johnson: I think the first question to ask is why do you want that amount? What is that amount of money going to do for you that you don’t already have now? Is it going to buy you things you don’t have, or is it going to pay off debts, or make you more financially stable and make you happier that way? But why do you think any amount of money will make you any happier than you are now? So I think that is kind of the first question to ask yourself. Then, if you actually put a dollar amount on that, then I think you need to put a date on it, too, and then use that as a goal to be there by that certain time. Why would you think that is going to happen, just because you have that amount of money in the bank? You know, money does not buy happiness, by any means. So I think that is an important question, too. Ralph Zuranski: Yeah, I think that is, also. What is your definition of heroism? Cameron Johnson: I think a hero is someone who helps others and gives back. I think that is the simplest definition that I can give you. I know there have been so many heroes in my life that have served as mentors to me in the business world. They have guided me along, and anytime I have ever asked anyone for advice, I have always been greeted with open arms and have been able to get great advice. A lot of those people have turned out to be my mentors, and a lot of my success is thanks to their credit. So, I think those are the true heroes, those that give back more than they take from life. I think that is the definition of hero to me. Ralph Zuranski: Did you ever create a secret hero in your mind that helped you deal with life’s difficulties? Cameron Johnson: Well, fortunately, going back to the previous question, I have lived a charmed life and I have had very few difficulties, other than some arguments with my parents when I was growing up. I always admired successful business leaders, and I would read business book about the Donald Trumps and the Michael Dells, Bill Gates, and Richard Bransons of the world. That kind of always helped me stay motivated, because I had my dreams or my goals set on being a successful business leader myself. So that kind of helped me along. Ralph Zuranski: Well, who are the heroes in your life now? Cameron Johnson: The heroes in my life now are people that are very close to me, and of course my dad is a hero to me, and my mom, and my family. But in the business world it is very similar to what I grew up with. Michael Dell and several people in the technology industry serve as my heroes. Ralph Zuranski: How important is it to have trusted friends or a mastermind group to bounce your ideas off? Cameron Johnson: I think it is so important that you have trusted friends. First of all, if you have friends you can’t trust, then you can’t bounce an idea off of them. You have to be able to trust your friends, and your friends also need to be able to trust you, likewise. I think a mastermind group is so rewarding, because it is not just rewarding to you to be the center of that group, but it is rewarding to everyone who gets to participate. I am a participant in several mastermind groups, and I have one myself. It is so rewarding to just bounce ideas off for each other and help all of us move forward and be more successful. I think it is also probably one of the most important things you can do, and the most cost effective, to bounce an idea off of someone before you spend the money or go out and write the check to do it. So I think mastermind groups are so rewarding and so valuable. Ralph Zuranski: Well, how did they make a positive difference in your life? Cameron Johnson: I think they save you a lot of time! They save you a lot of time from trial and error. You can read books about things that have worked and things that haven’t, and you can also ask people that have been in that exact same situation. You can see what decisions they made and whether they would agree that they were the right decisions or the wrong decisions. You can use that advice to move forward, and hopefully to make better decisions in your life, and to save time. Because we are only here for a certain amount of time, so we need to be as effective as we can be. So I think that is exactly how they can make a positive difference every day. Ralph Zuranski: Who do you feel are the real heroes in our society today that aren’t getting the recognition and rewards that they deserve? Cameron Johnson: Well, when you just read me this question, on of the first things that just came to my mind was that Warren Buffet just gave $43 billion to charity and he made the news for three days. He didn’t do it because he wanted his name on the cover of every newspaper for a certain amount of time, or anything else. But he is clearly a hero in that every value that he created his entire life, almost every penny, has been given back to charities. With Bill Gates’s foundation, a large portion of his donation went to Bill Gates’s foundation, and that is exactly what Bill Gates’s passions are now. He has already set a time frame for when he is leaving Microsoft and how he is going to be less involved. He is going to be working with the charity full time because that is where he gets value, and that is where he gets rewards. I think those are true heroes, those that give back in every way possible through the creation of these successful businesses that they have built. They are now able to give back to our entire nation and the world. They are there for the long term through their donations. Ralph Zuranski: Why are heroes so important in the lives of young people? Cameron Johnson: I think young people need someone to look up to. I was able to make a connection, for some strange reason, with business leaders that are 40 and 50 years older than I was. I think they are crucial to young people, and I think if young people had more people to look up to, more positive influences, then they would be that much more successful. Ralph Zuranski: What are the things that parents can do that will help their children realize that they, too, can be heroes and make a positive impact on the lives of others? Cameron Johnson: I think our society has become so disconnected, parents and young people. It is not that young people are just trying to be rebellious and not connected to their parents, although there is a time period when young people do that. I think that it is just that there is a disconnect on the relationship, and whether it is because parents don’t talk to their kids about what it is they do on a daily basis in their job, so that means when kids get to college and they have to choose a major, they really don’t know anything about any industry and they don’t really know what they want to do. I read a statistic the other day that more than 70% of college graduates enter a field other than the one they graduated in. Or they end up going back to school to major in a different field, which means they just spend more money on education, which is great. I am a huge fan of education and a great supporter of education, and believe that education is the key to success. But we have to look at these things from a younger age and an earlier standpoint, like they do in so many other countries that are getting so much further ahead of us. That’s because we have this reverse mentality of not setting goals earlier in life on what it is we want to do. I think parents can be a huge influence on their children and on their nieces and nephews and on society by being more involved in trying to help their kids find out what it is they want to do. Get them involved in internship programs or sports in high school, or even earlier. I think it really pays off in the long run. Ralph Zuranski: Cameron, how do people become heroes? Cameron Johnson: Well, I think the only thing you need to do to be a hero is to help someone else. So if you can give back to anyone, then you are being a hero. Ralph Zuranski: How does it feel to be recognized as an Internet hero? Cameron Johnson: Well, I don’t know that I would go that far, but it is an honor to get an e-mail from one person saying I have motivated them in business in any way, or helped them try to find success. I probably get 100 e-mails a month just like that, and that is motivation for me. At the same time, it’s extremely rewarding and surreal, and almost unbelievable, so I totally can’t even put words to it. Ralph Zuranski: Well, why do you think you are selected for this unique honor? Cameron Johnson: I think through interviews and through talking and everything, I think there is just so much value that can come out of just a conversation. By sharing a conversation, just as we are having right now, Ralph, with an unlimited number of people, I just think so much value is created for them, and so much value is created for you and me by having this conversation, that I think it just creates value and gives back to society. Ralph Zuranski: How will being recognized as an Internet hero change your life? Cameron Johnson: Well, hopefully it will change the life of others and of the people listening. But also it changed my life just by thinking about the questions we have talked about today, and I hope that further discussion on these questions will not just help me, but help everyone who is listening. Ralph Zuranski: How are you making your world a better place? Cameron Johnson: I am trying my best! I have a book coming out that is not a book I wrote to try and sell and become a best selling author. That is really not one of my goals. But one of my goals is to help young people and parents and adults and everyone, business leaders and small business owners make smart and educated business decisions. I think my book can help do that, and I think the book will definitely help change society, maybe in a very small way, but in a way. Also, you know the non-profit organizations I am involved with, and the speeches that I give, I get so much reward from that. So that is definitely how I get so much satisfaction these days. Ralph Zuranski: Do you have any good solutions to the problems facing society, especially racism, child and spousal abuse, and violence among young people? Cameron Johnson: I think that it is just a lack of positive influence, and a lack of heroes in the country and in the world. I don’t even enjoy watching the news anymore, because anytime you turn on the news, the only things you see are the number of shootings that occurred today, or car accidents, or anything else. It’s almost impossible to find a good, heartwarming story. Or if you do, it is on page 12 of your newspaper. So I mean I feel like we are doing it to ourselves, and it is ridiculous, and it’s disturbing, and I don’t know how you change that. Because we, as a society, only get to see whatever it is the media brings out to us. There are so many hundreds of thousands of positive stories that we never hear of, that we would really rather hear about, because it motivates all of us to try and do things like that rather than go out and commit crimes. I think that that’s part of our society’s and our country’s fault, but I don’t know how we are to go about changing it. But it needs to happen. Ralph Zuranski: Well, hopefully the “In Search of Heroes” program will help that. Cameron Johnson: I think so. Ralph Zuranski: That would be good news. If you had three wishes for your life in the world that would instantly come true, what would they be? Cameron Johnson: This is kind of a tough question, because I could probably think on this for several weeks and still not come up with an answer that hits me and strikes me a special. But I want people to be happy, and that sounds like such a cliché or a beauty pageant answer. But I want people to be happy and to be able to help others, and to get satisfaction out of that. So many people and so many young people are depressed, and they live these very difficult lives, and there are these huge pressures from their parents and from outside sources to make the best grades possible. I think making good grades is very important, and it helps you get into a good school, or get a good job and everything like that. But when people go so far as to go on antidepressant medicine because they are so depressed because of their grades. Or at the high school I attended there was a young guy who was a few years older than me. He was literally stressing out about his college applications, and he committed suicide. That story will stay with me for the rest of my life, because there is really no reason to let things—nothing is that bad. One wish would be for people to be happy and help everyone else. Number two would be to try and do whatever it is you want to do, and that sounds like a cliché, also. But if you want to start a business, find out what the first step to starting a business is, whether it is an Internet business and you need to come up with a name and register the domain name. Or that’s a brick and mortar business, and you need to go sign a lease and move into your small location. Every business should start small. Then third I would say, a very strong wish I would have would be for young people and families and adults and everyone just to have a stronger relationship with their families, because I think that strong family relationships and connections really help give back. Ralph Zuranski: Well, you know, I really believe that is true. Cameron Johnson: Me, too. It’s really powerful. Ralph Zuranski: What do you think about the “In Search of Heroes” program and its impact on youth, parents, and business people? Cameron Johnson: I mean, just imagine if every single person in this great country and in the world could hear all of these interviews, and what they would take away from them. You know, the people that we can touch are really the people who are normally seeking out help. 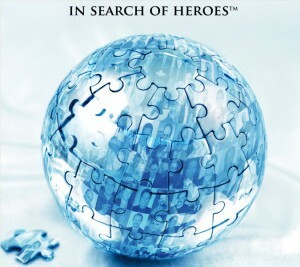 They are actually the ones who have the ambition and motivation to take the first step, though, and actually go and find positive influence such as the “In Search of Heroes” program. But I think its impact on youth, parents, and business people is only positive. I think that anything that is positive is good. I think positive cash flow is good! So I think positive impact is so powerful, and I think that I am thankful that you have spent so much time doing these interview and creating this program, because there is so much value in it. So many people can learn so much from all the different people you have interviewed. Ralph Zuranski: Well, that is true. I appreciate you taking your valuable time, Cameron, to answer these questions, because I know it will be inspirational in particular to people that are somewhere around your age, either somewhat younger or older. But it is such a great example to see somebody like you who is so successful at an early age, and just understanding how important the key ideas that you talked about are. Cameron Johnson: Yeah, well, thank you very much, Ralph. I hope a lot of people get enjoyment out of this, and a lot of people listen to it. Ralph Zuranski: I am sure they will. Well, thanks again. Cameron started his first business at the age of nine and before graduating high school, he was recognized as one of the most successful young entrepreneurs in the world. As a teenager he started a dozen profitable businesses and at 15, he became the youngest American appointed to the board of a Tokyo-based company. Last year, Cameron was a finalist on Oprah Winfrey’s first prime time series, The Big Give, which aired on ABC. Most recently, he hosted Season 4 of Beat the Boss which airs on the BBC in the UK. As one of the most well-known and successful young entrepreneurs in the world, Cameron has been a Keynote Speaker at countless events and seminars. In fact, Cameron has given hundreds of speeches worldwide including the US, UK, Japan, and Australia. He speaks on a variety of topics including the entrepreneurship, technology, and frequently the economy. Whether he’s speaking to a corporate audience or a crowd of teenagers or college students, he delivers a well-targeted message. He has spoken in front of audiences of all ages – from elementary school kids to successful corporate executives. When he was 17 years old, Cameron was the Keynote Speaker with Michael Dell at the Youth International Technology Summit in Austin, Texas. He’s also shared the stage at various events with successful entrepreneurs and authors including Michael Dell, Richard Branson, T. Harv Eker, Brian Tracy, David Bach, David Allen, Tim Ferriss and numerous others. Entrepreneurship, Sales, Motivation, Training, Building Self-Confidence, and more. Why work for someone else when you can call your own shots, pursue your dreams, and find success on your terms by starting your own business? So many people end up bored with their jobs, stuck in the corporate grind, never pursuing their true passions. As wildly successful young entrepreneur Cameron Johnson shows, you don’t have to live that way. We’ve entered a new age of entrepreneurship, with the Web making it easier than ever to start and run your own company. As Johnson’s own remarkable story reveals, the entrepreneurial way of life is a great way to make sure you love what you do—and to achieve extraordinary success by following your gut and going for what you really want. Cameron’s new book, You Call the Shots: Succeed Your Way – and Live the Life You Want – With the 19 Essential Secrets of Entrepreneurship was released by Simon & Schuster on January 9th, 2007. The book was written with John David Mann and the Foreword was written by best-selling author and financial guru, David Bach.